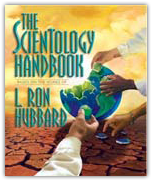 Scientology fundamentals for daily use in every part of life. Encompassing 19 separate bodies of technology, here is the most comprehensive manual ever published on the basics of life. How then, without using force, do you get a child to do things? If you take an individual and make him play a musical instrument (as parents and schools do), his ability to play that instrument will not improve. We would first have to consult with him as to what his ambitions are. He would eventually at least have to agree with the fact that it is a good thing to play an instrument. Take, for example, a “bad boy.” He cannot be put in school and has to be sent to a military school. They are going to force him in order to change him. Occasionally this bad boy is sent to a school which simply thinks the best way to handle such cases is to find something in which he is interested and to allow him to do it. Such a school once existed in California and consecutively produced geniuses. The roster of World War II’s scientists practically marched from that particular school. They figured that it must have been the example set by the professor, his purity in not smoking cigars or something like that. What actually happened was this: They took a boy with whom nobody got any results and said, “Isn’t there anything you would like to do?” The boy said “No,” and they answered, “Well, fuss around in the lab or grounds or something and someday you may make up your mind.” The boy thought this over and decided that he wanted to be a chemist. Nobody ever sent him to a class and told him to crack a book, and nobody ever complained very much when he blew up something in the laboratory, and the next thing you knew the boy was an excellent chemist. Nobody interrupted his desire to be a chemist. It existed then, and from that point on he was not himself interrupting his willingness to be a chemist. Educationally, this is a very interesting point. People will permit you to take things away from them if you do it gracefully and don’t upset their willingness too much. The way you make a greedy or a selfish child is to make him, against his will, give up things to other children. You will eventually drive him into the “only-one” category – feeling he is the only person who really matters at all. Parents usually never consult the child’s willingness. They consult his havingness, his ability to own or possess, then handle it and they have a spoiled child. It is interesting to watch a child that has been around somebody who always consulted him but didn’t take very good care of him as opposed to a child who had the best of care but who never was consulted. A little boy is sitting on the floor playing with blocks and balls and is having a good time. Along comes the nurse who picks him up and takes him into the other room and changes his diapers, and he screams bloody murder the whole way. He doesn’t like it. She keeps on doing this to him, placing him around, never consulting his power of choice and he will eventually grow up obsessed with the power of choice. He has to have his way. He becomes very didactic – assertive of his own rightness. He is trying to hold down the last rungs of it, and his ability will be correspondingly poor, particularly in the handling of people. Now, this is quite different. 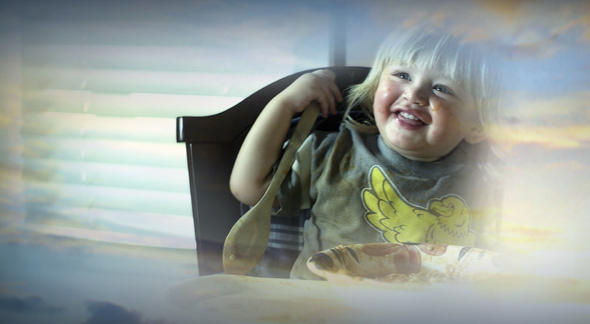 You know the child is hungry, and you know he ought to eat. The child will eat if he is kept on some sort of routine. If supper is served routinely at 6:00, he will get used to eating at 6:00, and his willingness will never quite be overwhelmed. He finds out that food is there at 6:00 and so he makes up his mind to eat at 6:00. You provide the food and he provides the willingness. If you don’t override that, he will never have any trouble about food. Then somebody comes along and talks to him and says, “Wouldn’t you like to go into the other room and change your clothes?” and the answer is “No.” You are making a horrible mistake if you proceed from that point on the basis of “Well, I’ll give you a piece of candy,” persuade, seduce, coax, etc. That is psychology, the way psychologists handle situations, and it doesn’t really work. You take one of two courses. Either you use excellent control with lots of communication, or you just let him grow. There is no other choice. Kids don’t like to be mauled and pulled around and not consulted. You can talk to a child and if your degree of affection, agreement and communication with him are good, you can make him do all sorts of things. He will touch the floor, his head, point you out and find the table. He will fool around for a while and after that you can just say do so-and-so and “Let’s go and eat,” and he will do it. He has found out that your commands are not necessarily going to override the totality of his willingness. So your commands are therefore not dangerous. You have confronted him and he can confront you. Therefore you and he can do something. A child sometimes says “I want to stay up with you” and they insist on doing so, exerting their power of choice. Just letting children do what they are doing and not interfering with them and not exerting any control on them is psychology. They are never going to be in communication with anybody; they won’t grow or get experience in life for they didn’t change their havingness. They didn’t have to change their mind, work, exercise or do anything. But they respond very readily to good control and communication, but it certainly takes good communication to override this – not persuasion but good communication. One doesn’t have to use force. Go into communication with the child, and control follows this as an inevitability. Omit control from the beginning when bringing up a child and he who looks to you for a lot of his direction and control is gypped. He thinks you don’t care about him. However, as in the case with the playing of musical instruments, learning of languages or the arts and abilities, consult the child’s willingness. | Scientology Marriage or Divorce?